Amongst our numerous long-serving club servants, Aussie Brett Saunders holds a place of honour. 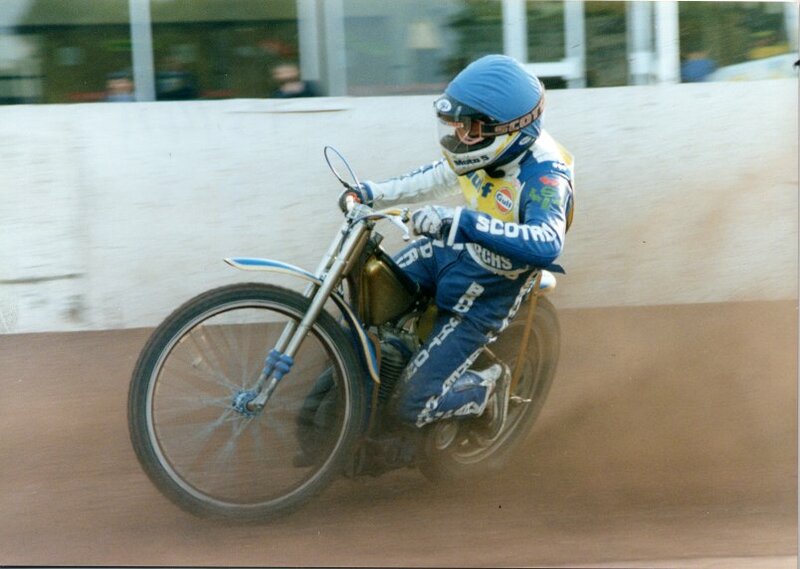 He originally came to the UK in 1980 and had short spells at Workington and Nottingham before joining Berwick. In 1982 when Bandits' director Tom Cook took over Monarchs, one of his most significant contributions was to bring Brett with him. John Gibson's description after Brett's debut with Monarchs was to call him a 'spirited young blade' and that precisely described the adventurous and exciting rider that he was. It was the start of 11 seasons at Powderhall during which he became a club legend, as well as taking over the team captaincy between 1988 and 1992. He could be brilliant, he could be erratic, but the effort was always 100%. He was also very influential in the development of numerous riders during the period. Suffered internal injuries in a bad crash at Ipswich in 1990, but returned to have a Testimonial in 1991 and continue the following season. After a year away at Sheffield and Middlesbrough he returned to Australia with Edinburgh-born wife Wendy.